Sorry from The Flats Guide! I am beginning this report with a great big apology! I have not posted in a few months for various reasons, none of which are acceptable! Please forgive me for my recent procrastinative stint! 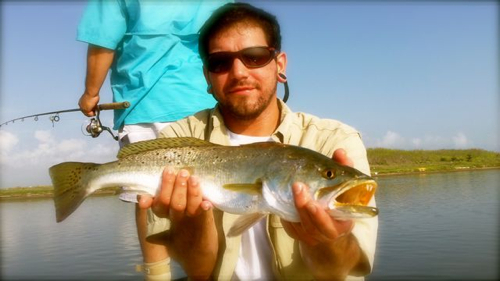 Fishing down here on the Laguna Madre has been pretty steady considering the affects of this weather pattern I have heard refered to as “La Nina” … dry weather with lots of wind. Texas winds are a staple for our area, but it is not normal to wake to 15+ mph winds at this time of the year. I cannot wait for next few months and the potential for low wind days with clear skies. Cooler weather would be greatly appreciated as well. Enough of me complaining about the weather. The great thing about the heat is that the fishing is HOT as well! Fish numbers are there and shots are plentyful. I have even been seeing flounder on some of the flats too. The last few months have been pretty busy for me. 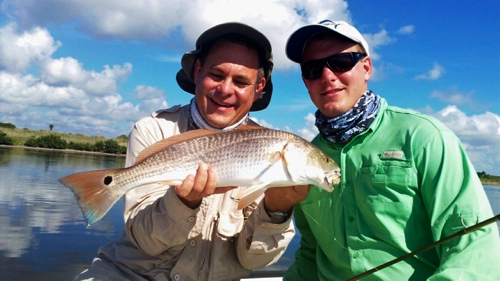 Redfish and trout have been the willing participants for some of my clients. Not only have the fish been great fun, but the people I have had aboard have been wonderful as well. I hope to have more to post soon! The summer is winding down, and the kids, and all of the teachers off for the summer break will be back in the classroom soon. Not to mention that the tournament fishermen will also be calling it quits for awhile. This means less pressure on the fish. I know that I will be out there as the season continues. I’d love to have you aboard. Let’s wet a line! Thanks again for that report Captain Mark Becerra! 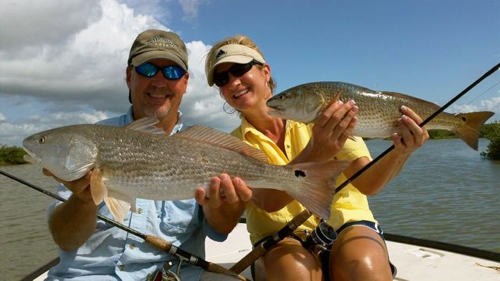 If you are interested in hiring Captain Mark for a Lower Laguna Madre flats excursion, please go to the “GUIDES” page of Texas Fly Caster for more information about the Captain and his services.